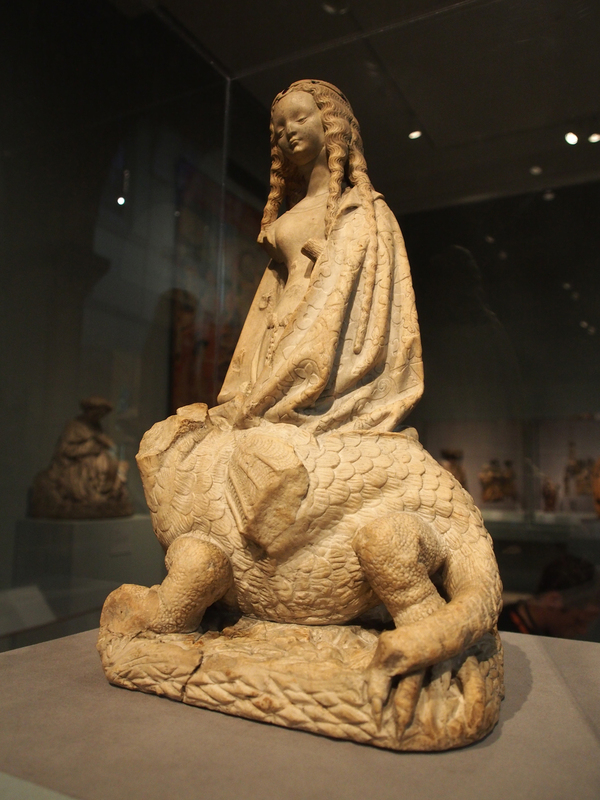 The beautiful Saint Margaret of Antioch with her dragon. Alabaster with gilding. On display at the MET Museum. Posted on November 24, 2013 by Vivien Chin and filed under art & architecture and tagged sculpture art.